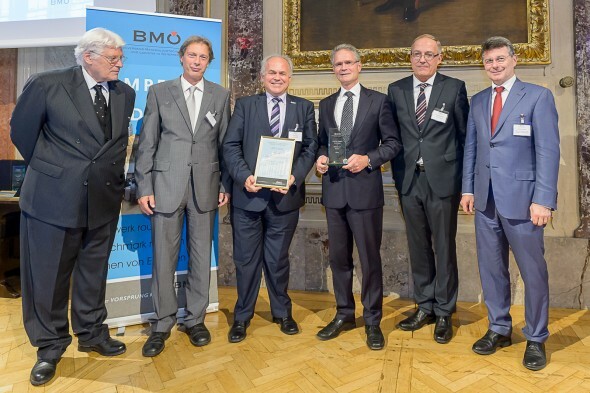 On the evening of September 29, voestalpine AG was presented with the Austrian Supply Excellence Award 2016 by the BMÖ, the Austrian association for materials management, procurement and logistics. The Austrian Supply Excellence Award is given for excellent economic performance along the value chain. voestalpine AG received the award in Vienna for setting up and implementing a global, harmonized material groups system within an international and decentralized enterprise. Left to right: Dkfm. Heinz Pechek/Geschäftsführer BMÖ; Mag. DI Günter Seidler/Projektleiter voestalpine; Ing. Franz Gleiss, MBA/Master Data Governor voestalpine; Dr. Michael Eyett/CPO voestalpine; Dr. Christian Haring/Präsident BMÖ; Univ. Prof. Dr. Helmut Zsifkovits/Montanuniversität Leoben. Photo: Marko Kovic. One of the most important preconditions for ensuring efficient cooperation within the Group and strengthening purchasing power as a whole is transparency. Due to the decentralized nature of the Group and its numerous acquisitions there was a wide variety of material group systems, making their contents impossible to compare. There were over 1,500 goods categories with differing definitions. Therefore the aim was to develop a shared “procurement language” in order to streamline the work of around 400 buyers across the Group. Following an intensive project phase, a harmonized material groups system was rolled out across the Group. After being introduced to Group buyers worldwide, the buyers and consumers were trained in using the material groups system to ensure that data entered using uniform methods can be consistently used to generate meaningful information. As a result, and due to its universal application, the material groups system actively generates significant value for the voestalpine Group.